E.ON Sverige decided to replace some of the old pneumatic instruments and valves on the condensers in its Örebro plant. Guided Wave Radar was tested next to electronic displacers. 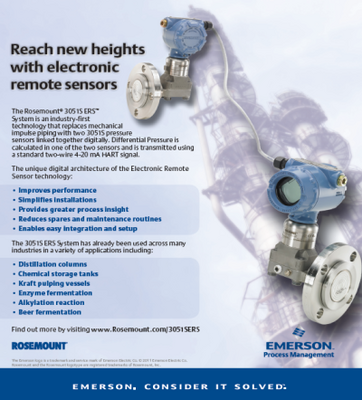 provides Differential Pressure, Static Pressure, and Process Temperature measurements along with advanced compensation techniques to provide faster and more accurate calculations.